The four women of Motherlode met in 1980 at the Puget Sound Guitar Workshop and have been making music together ever since. They perform original songs based on their life experiences of relationships, motherhood, political activism, hope, loss, change and more. Throughout their over thirty years of performing they have acquired loyal fans from Vancouver, Canada to the Bay Area and beyond who appreciate their heartfelt lyrics and their commitment to each other and to their audiences. This band is a family. Nan is a happily retired teacher living with her partner out on twenty acres of beautiful forestland in the country. She is a happy gardener, sometime photographer and occasional poet. Nature feeds each of these. 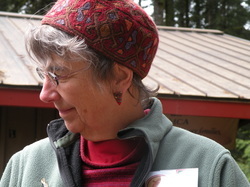 Janet runs music camps in Washington, Oregon, California and Michigan and enjoys seeing people discover their creative spirit. She is also a sign language interpreter and lives in Bellingham, Washington. She loves her family, and that includes her sisters in Motherlode. Marie is a gardener extraordinaire, and one fine pie-maker. In her professional life she has been a dean and is now a faculty member at Fairhaven College, an alternative college at Western Washington University. 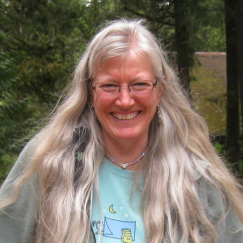 She has two children, four grandchildren and lives in Bellingham, WA with her partner and two cats. Kathleen spends time working in her ceramics studio, is a jewelry maker, and is a retired community college ESL instructor. In terms of pie, she has learned most of her pie making techniques from Marie. Kath and her partner live on a beautiful 15 acre farm outside of Canby, Oregon. Together they play in an 8-piece marimba band, love to travel and explore other cultures, and try to train their sweet Golden Retriever, Abbey, who wins the cute award.